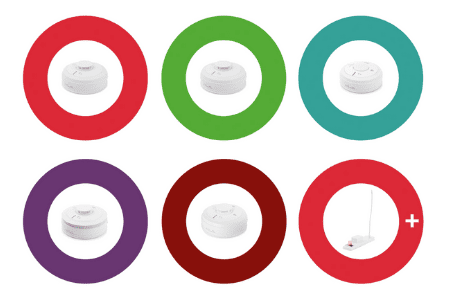 This technologically advanced series detects both Fire and CO and includes, for the very first time, a Multi-Sensor Heat & CO Alarm, providing whole property coverage from one series. “The 3000 Series represents one of the most significant advances of the Ei product range in recent years” states Ei’s Sales & Product Applications Manager for Ireland, Tom Meehan. In addition to the Ei3028 Multi-Sensor Heat & CO Alarm, the 3000 Series incorporates a mains powered Dual-Sensor Fire Alarm and single sensor Optical, Heat & CO Alarms. 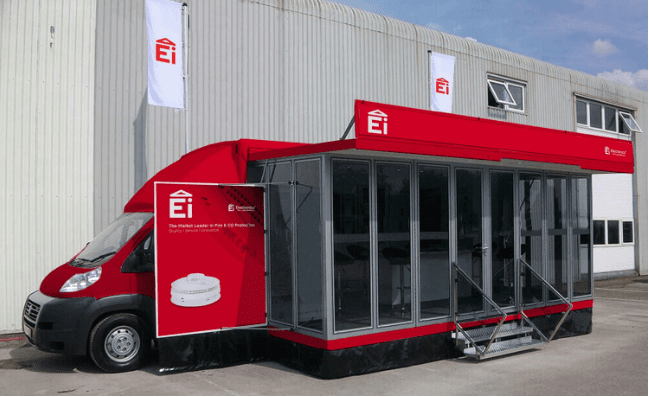 All alarms in the Series use the same easi-fit base (a first for Ei CO Alarms) and feature intelligent sensors, AudioLINK data extraction and SmartLINK wireless interconnection and whole system data monitoring capability. Ei’s multiple award winning AudioLINK data extraction technology enables real time alarm data (e.g. number of times tested and details of alarm activations) to be extracted directly to a smartphone or tablet via an App which creates an Alarm Status Report. It identifies any issues enabling action to be taken immediately, which is effective for tenant safety and in reducing the cost of return visits to a property. AudioLINK also aids compliance for landlords, providing proof that alarms are working at the start of a new tenancy and with annual gas safety checks. Next generation Radio Frequency (RF) technology, SmartLINK enables alarms and system accessories to be interconnected using RF signals rather than hard wiring. Hard wired interconnection is time consuming, disruptive and costly in existing properties, whereas wireless interconnection is quick, easy and requires no redecorating. The new SmartLINK technology is smarter and easier to use than its predecessors and future-proof. What’s more, Ei is currently developing SmartLINK technology to enable a Gateway and Portal based system with real-time notifications. All alarms in the 3000 Series are backwards compatible with existing Ei products, including the ground-breaking Ei450 Alarm Controller and Ei414 Fire/CO Alarm Interface.